I had a dream the other night where I was in a conversation with my principal about student engagement. Of course, I’d just spent the day in Internal Rounds at one of the other high schools, specifically looking for and analyzing data that was supposed to show if students were engaged in their learning– not compliant, maybe committed, and hopefully, taking ownership. In my dream I felt exasperated. I struggled, and I probably hit my husband in the head. I finally threw up my hands and said, “I can’t do it! You’ll have my resignation tomorrow!” and I huffed out the door. Yes, student engagement. Those seem to be the buzz words I keep hearing lately. Well, those or student apathy, the ugly step-sister. I’d rather at least try to stay positive. I teach 9th grade English. I try to teach students how to write. Sometimes I want to beat my head against the wall because I have so many kids who just don’t get into what I try to get them to do. I imagine this sounds familiar to some of you–at least I hope I’m not alone here. In my search for ways to get students engaged, I’ve discovered a few texts that serve as friendly mentors to help me get my students to care about what they have to say and how they say it. These mentors have interesting text structures or themes–or, hey, they are short, which goes over well with my kids. I shared a few of these during my presentation at TCTELA in Dallas last week. The Prezi posted two weeks ago called “Reading Writing Workshop in High School? Yep, the Shoe Will Fit” has images of the book covers, and the handouts have some excerpts and ideas from some of my favorite mentors: The Book of Awesome by Neil Pasricha, The Dictionary of High School B.S. by Lois Beckwith, Six Word Memoirs from SMITH Magazine, and The Encyclopedia of an Ordinary Life by Amy Krause Rosenthal. I’ve used excerpts from all of these and have had great success in getting students to take interest and ownership of their writing. We read the mentor, analyze the author’s craft–specifically looking for the moves he makes, and then we write our own version or addition to that text. Sometimes I require certain devices like metaphors or alliteration or parallel structure or whatever; sometimes not. Always I allow for student choice in the subject matter. I get the best student writing this way. At the end of that presentation at TCTELA, I asked the audience to contribute ideas for mentor texts that they’ve had success with in getting students to write. Take a look at these fun books; you’ll see the value in how these can work to give students choice in what they write, while you give them say in how they write it. Thank you, slow walking family walking in front of me on the sidewalk. No, please, take your time. And definitely spread out, too, so you create a barricade of idiots. 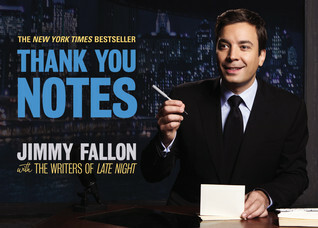 I am so thankful that you forced me to walk on the street and risk getting hit by a car in order to pass you so I could resume walking at a normal human pace.Jimmy Fallon has a few people and a few things to thank. In this brand-new book, the very first to come from his show, he addresses some 200 subjects in need of his undying “gratitude.” Each page will feature one note and a photograph of its recipient. Murder. Love. Horror. Suspense. 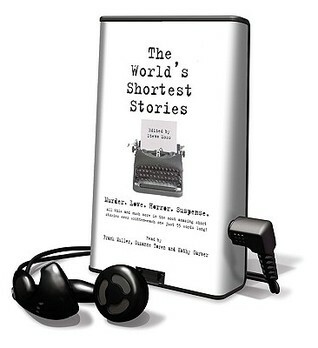 All this and much more in the most amazing short stories ever written each one just 55 words long! Consider for a moment 55 words. It’s an absurdly tiny number. No, it’s an impossible tiny number. It’s what O. Henry might have conjured up if he’d only had the back of a business card to write upon. You’ll find murder and suspense, horror and intrigue, love and betrayal, plus distant worlds and inner demons. All in a measly 55 words. 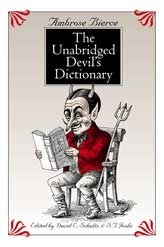 A virtual onslaught of acerbic, confrontational wordplay, The Unabridged Devil’s Dictionary offers some 1,600 wickedly clever definitions to the vocabulary of everyday life. Little is sacred and few are safe, for Bierce targets just about any pursuit, from matrimony to immortality, that allows our willful failings and excesses to shine forth. How does one talk about love? Do we even have the right words to describe something that can be both utterly mundane and completely transcendent, pulling us out of our everyday lives and making us feel a part of something greater than ourselves? 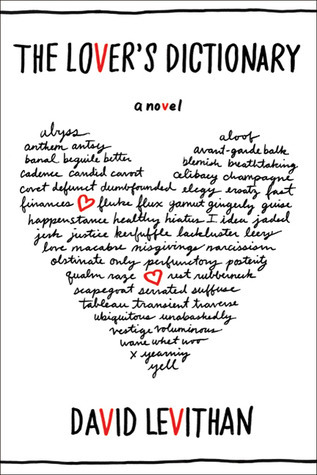 Taking a unique approach to this problem, the nameless narrator of David Levithan’s The Lover’s Dictionary has constructed the story of his relationship as a dictionary. 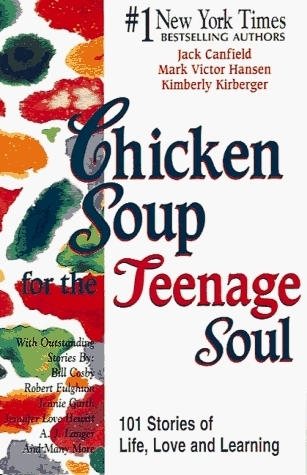 This first batch of Chicken Soup for Teens consists of 101 stories every teenager can relate to and learn from–without feeling criticized or judged. This edition contains important lessons on the nature of friendship and love, the importance of belief in the future, and the value of respect for oneself and others, and much more. What do suicidal pandas, doped-up rock stars, and a naked Pamela Anderson have in common? They’re all a heck of a lot more interesting than reading about predicate nominatives and hyphens. 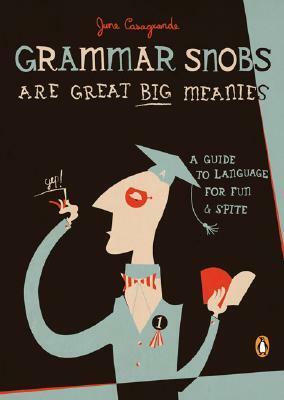 June Casagrande knows this and has invented a whole new twist on the grammar book–a laugh-out-loud funny collection of anecdotes and essays on grammar and punctuation, as well as hilarious critiques of the self-appointed language experts. Do you know of any more fun texts to use as writing mentor texts? Please leave your suggestions in the comments.